The India Pavilion aims to let you walk away with a better understanding of the cuisine, culture, entertainment and art of its many regions! Jewelry, tea, and art, oh my! This pavilion’s cultural display and souvenir shops are laid out in the arena where the main stage is. 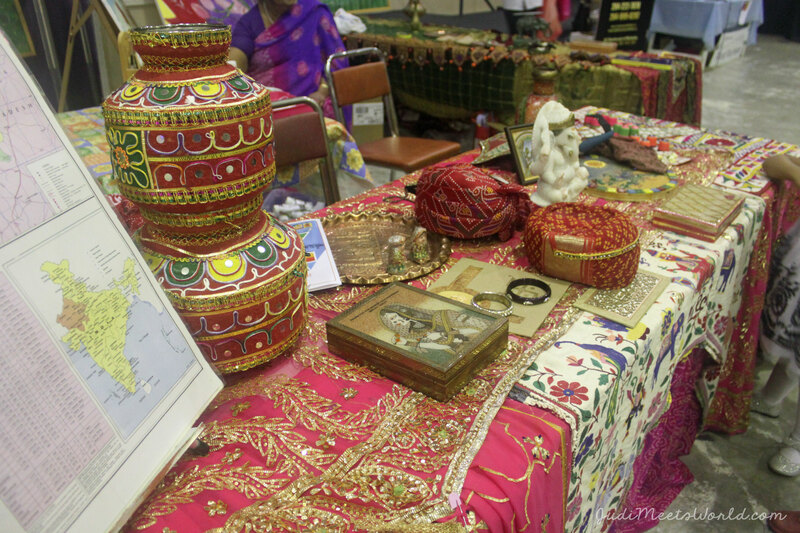 You can get henna tatoos done by an artist on site, you can hear about the different classical dances that you will see, and you can learn about India’s most colourful region (along with an artist doing live paintings). My favourite part of this pavilion each year is being able to try on a sari (or a turban for gentlemen). Butter chicken and their chickpea curry – can’t go wrong with either dishes. If you want something you can easily take with you on your way out, or as you explore their shops, grab a samosa (or two). Their bar has some Old Monk rum and their imported beer is Kingfisher. This has got to be one of the most visually aesthetic shows, combining beautiful costumes with such rich colours with incredible lighting. You get a solid share of Bollywood style dancing and the show we went to also featured some Bhangra (Punjab) and semi-classical dance from East India. The final group performs something like a 10-minute Bollywood routine and they have so much energy. Their smiles are contagious and you will find yourself dancing in your seat and clapping along. 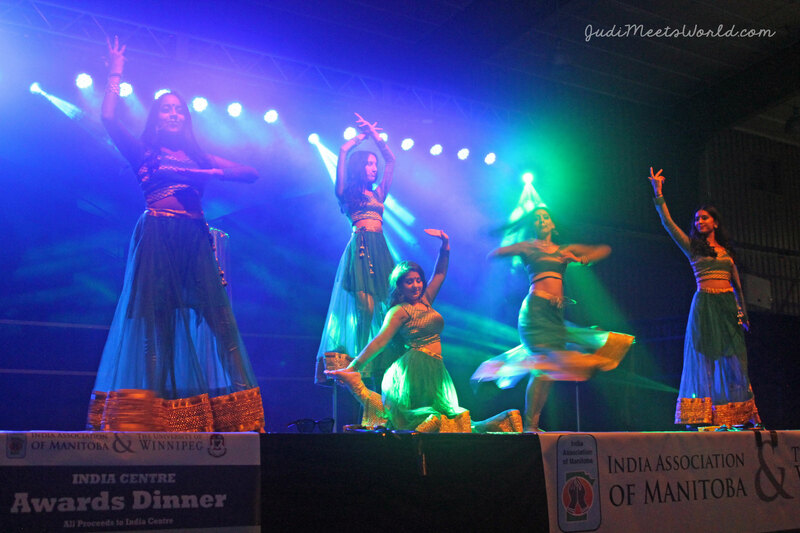 Once a year for the past ten years, the India Association of Manitoba publishes their India magazine. There are many businesses and groups who support the magazine and pavilion that are featured in its pages. 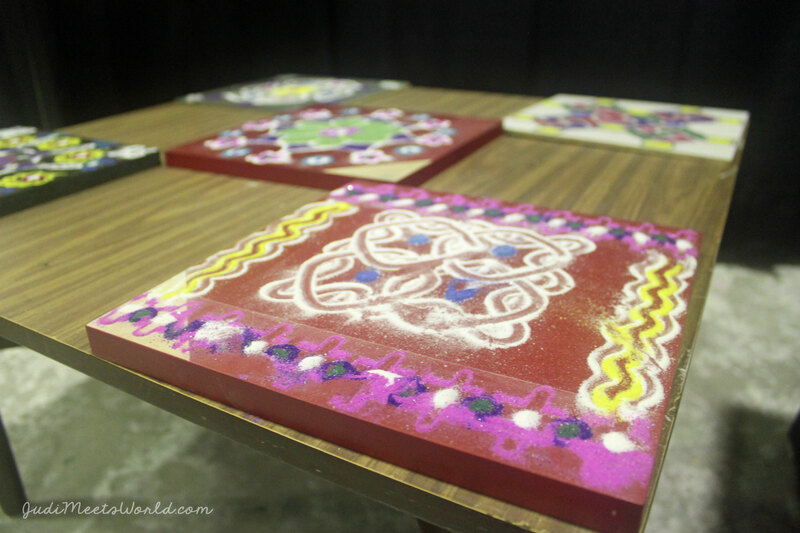 I learned about the India Centre that they are hoping to build in the next few years. Readers will also find content that reflects on the Canadian experience of the Indian community, as well as a connection to current events and changes happening in India. Thank you again to the hospitality of the volunteers at the India Pavilion! Connect with me and let me know what your highlights were!